Players are now encountering a frustrating glitch within the item store for ‘Fortnite' Battle Royale. “Fortnite” players are having a blast with the third-person shooter, lately, now that the Playground Limited Time Mode is finally up and running. Epic Games also added to update V4.5 and officially introduced the Drum Gun (a.k.a. the Tommy Gun). 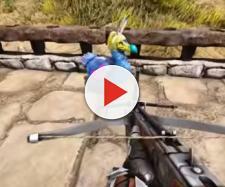 However, a new glitch has recently been discovered and it’s plaguing the game’s shop. Redditor u/MrDopeey is just one of many players out there, who recently brought this new issue to light, over on the FortniteBR subreddit. If his friend’s clip is anything to go by, the purchased outfit/skin (the Snorkel Ops in this case) is not showing up on screen. 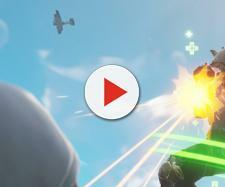 It looks like the new skin got replaced by something else, though it was not certain what it was on the video. That said, the post has been getting quite some traction, as it has been raking in a decent amount of upvotes from the community. Other players even commented that they too experienced the same bug and they believe that this may have something to do with the sudden update. Epic Games made a response to the post, stating that they are currently investigating this new store glitch. The devs further explained that they are currently working through a few things; specifically the cause of the problem and how can they be of help those who experienced it. In line with this, players were weirded out with the item shop, as Fourth of July-themed cosmetics were rolled out prior to the holiday. 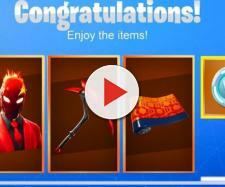 These items include Fireworks Team Leader (skin), Star Spangled Trooper (skin), Star Spangled Ranger (skin), Blasting Cap (back bling), and the Sparkler (emote). A few minor bugs were also spotted alongside the recent update. One of them was witnessed by Ninja himself, as a member of his squad showed off the so-called Take 14 glitch, where a massive clapper appears whenever the emote is performed. Another glitch involves the Blasting Cap back bling, where the fireworks fall out of the hat while the player skydives. Fans might also recall the game-breaking invisible floor glitch that is now at the new building in Tilted. A lot of players have already fallen for this trap, as others took advantage of the said issue in the game. Meanwhile, a lot of notable landmarks have been disappearing across the map and“Fortnite” fans believe that the upcoming season will be history-themed. Players are also well aware of the mysterious signs in the sky, not to mention that the huge crack is getting bigger by the day.